In the first segment of this three-part series, I wrote about two of the most important qualities I would look for in a senior pastor if I were in the market which, by the way, I’m not. 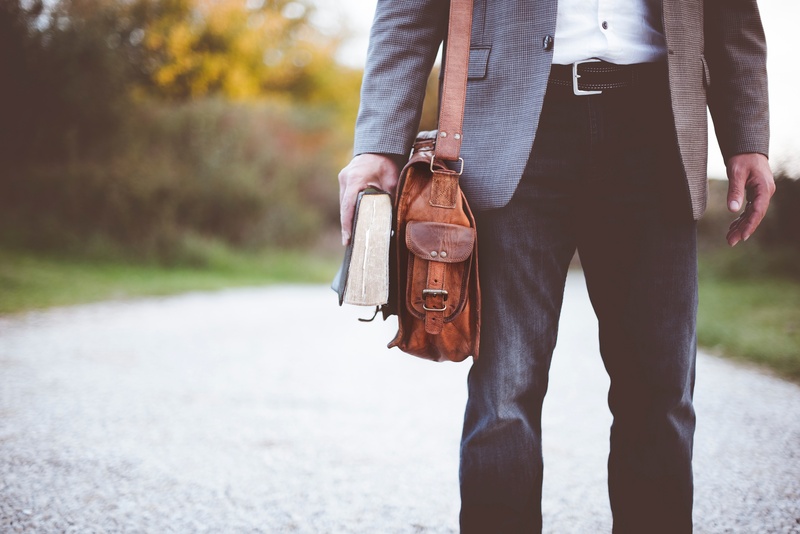 But if you aspire to the pastorate, hoping to be someone’s pastor somewhere some day, today’s discussion may be the most helpful to you personally. Applying what you read here may make the difference between surviving for the long haul versus crashing and burning before your time. Don’t think you can skip part three, however, since it plays into everything I talk about today. And don’t think I didn’t know you were thinking that, because I did. I’m a mom and have super-human powers of discernment. Since my husband and I like to find a church and then stay put, my first-hand experience of senior pastors is fairly limited. But we have moved enough times in our lives that I have known a few. The curious thing is how many of them imploded or exploded in one form or another. Of the nine senior pastors I have worshiped under during my adult life (not counting our current pastor), two had regular patterns of blowing up at church members, one had an affair with a woman in the church, one got involved in drugs and homosexual activity, one was voted out for unspecified reasons, one left the church because “it just wasn’t working,” one stepped down due to a debilitating illness, one is still plugging along and one, I’m happy to say, was amazing. I would be very surprised to learn that any of them intended to fall into negative patterns when they went into the ministry. Of course not; they went into this demanding profession because they wanted to serve God. There was so much good in each of them: devotion to God, a sincere desire to help people, love of God’s word, passion for prayer. Which is what breaks my heart. It might be easier to take if, lo and behold, it turned out these men were all dirty, rotten scoundrels. But they weren’t. Not one of them. And somehow that makes it harder. Why did so many of them spiral downward? Being a pastor, especially a senior pastor, is a tough job. The never-ending demands, constant criticism and second guessing of the ministry life are a lot to take. Harmful feelings and attitudes can build up in our hearts if we remain unaware of the true condition of our souls or lack the tools to process the negative sides of both our ministries and ourselves. When deep emotional issues linger unresolved, we learn that we can meet them, or at least calm them for a moment, through unhealthy, sinful patterns. It seems to me that the attempt to satisfy emotional needs is one of the major reasons any of us wanders from what we know we should do to what we know we should not. Why else would we willingly decide to turn our backs on our own standards? We all do it, yet it feels worse when it’s a pastor who is doing the wandering. The fallout, the impact on others’ lives, is compounded. What can a pastor do to protect herself? Recognize the power and importance of emotion in his life. Like most Christians today, I was taught that feelings are unreliable and not to be trusted. They go up and down and are the last thing we should be attending to in our spiritual lives. But that’s an incorrect view….When we deny our pain, losses, and feelings year after year, we become less and less human. We transform slowly into empty shells with smiley faces painted on them….The problem for many of us comes when we have a “difficult” feeling like anger or sadness. Unconsciously we have a “rule” against those feelings. We feel defective because we ought not to be feeling the “wrong” things. We then lie to ourselves, sometimes convincing ourselves that we aren’t feeling anything because we don’t think we should be feeling it. Until we recognize the power of emotion in our life, the way it drives us and impacts every aspect of our lives, we live at the mercy of its whims. When I went through the MA in Biblical Studies program at Denver Seminary, one of the requirements consisted of working through personal issues with a mentor. That might seem like a surprising element of an academic degree designed to prepare you to pursue a doctorate. The seminary understood, however, that Christian leaders need more than intellectual know-how. We need the strength to live a life that lines up with our beliefs. So the personal mentoring requirement was part of every degree program. Each semester we had to identify an area that could trip us up once we got heavily into ministry, like unresolved wounds that have resulted in bitterness; an inability to process criticism appropriately; a tendency to spiral into self-indulgence when faced with disappointment; a compulsive need to appear successful; an uncontrolled desire for unhealthy sexual activity; an inability to keep our head on straight in the face of success and fame; a paralyzing fear of rejection. In other words, anything that would cause us to compromise under pressure. Once we isolated an issue, we set a goal for personal development along with a detailed plan for attaining it. We learned classic spiritual disciplines to employ in this process such as silence, solitude, journaling, a Rule of Life, and the Prayer of Examen. To receive a passing grade, we were required to spend an allotted number of hours per week in activities connected to our goal. I’ll admit the exercise felt forced at times. However, it provided something very important: tools for bringing heart issues to the surface, along with the time to process them with a trusted mentor. One of my takeaways was a healthy way to work through the emotional and spiritual challenges we all face as we make our way through life. I also gained a very deep friendship with the woman who served as my mentor, one that continues to this day in a more balanced form. When I finished my required semesters of character mentoring, we expanded our relationship to include mutual accountability. Now, when we connect, we make a point to share our struggles. And we expect the other to speak the truth in love to us in return. I can always count on her to speak the truth in love. Sometimes it stings a bit, but if it never stings it’s probably not the truth, at least not the whole truth. No one can give you an exact formula for processing your emotional state; you will have to figure that out for yourself. For me it includes a few important relationships, worship music, quiet time alone with God, journaling, and the Psalms. I love the gritty realism of the Psalms in dealing with every type of human experience and emotion. It’s where I camp when I’m processing difficult circumstances. If you don’t know where to begin, I would recommend one of Peter Scazzero’s books on the subject. You will gain an overview of the issue and numerous practical steps you can apply to your life. I hope you decide to prioritize emotional health as you move forward in your pastoral calling. I believe it will serve you well. Whatever you do, however, don’t leave it to chance. We all know where that ends. Peter Scazzero, Emotionally Healthy Spirituality: It’s Impossible to be Spiritually Mature While Remaining Emotionally Immature” (Grand Rapids: Zondervan, 2006), 69, 70, 72. Scazzero, ibid., explains how to adopt the Rule of Life and Prayer of Examen as part of your spiritual disciplines, 195-212. If you want a more thorough description of classic disciplines, consider Adele Ahlberg Calhoun’s Spiritual Disciplines Handbook: Practices That Transform Us (Downers Grove: InterVarsity Press, 2005). This entry was posted in Church, Emotional Health, Leadership, Pastoring by Sarah J. O'Connor. Bookmark the permalink. You’re so right, Gerry. We are all human and prone to the struggles common to humankind. Thanks for reading and commenting! The biggest problem is, I think, this OT-priesthood-based idea of one anointed leader for a church. The NT clearly sets out a pattern of eldership – all equal and accountable to each other, no super-star, no single the-buck-stops-here “senior pastor”. As long as we give an inordinate, non-biblical amount of authority to one leader the problems will persist. That certainly plays into it and can set pastors up for trouble. When appropriate give and take and accountability are lacking, for the reasons you cite or others, negative outcomes are much more likely. Thanks for commenting, Sue. It’s so true that ignoring or repressing emotions does not lead to emotional health – emotions need to be faced, negotiated with, reconciled with. We need a relationship with our emotions – we need to listen to them, speak to them – we need to disciple them and shepherd them, and submit them to Christ. Emotions are a gift from God, and when they are healthy, they can serve us and help us as God designed them to do. If we neglect them, they will become unhealthy and ultimately they will hurt us and others. When we feel things we shouldn’t feel, we shouldn’t run and hide, but rather dig into those painful areas to find the reasons for these impulses, and surrender them to God’s healing hand. We must realize that these areas of pain are actually the biggest opportunities for discovery and progress in our spiritual and emotional development. Like digging out a rotten support post and filling in the clean hole with concrete, allowing the Spirit of God to inject the Word deep into the deepest dark places in our lives results in a firm emotional foundation. Then where we previously had found collapse and failure, we find strength and stability. Thank you for sharing your experience at Denver Seminary – I’m very interested in how institutions can systematically facilitate and promote this kind of spiritual and emotional development. I’m sure it’s an intricate dance to maintain balance between static systems and the dynamic needs of individuals, and I’m sure requires constant effort and reinvention. Like you said, sometimes it felt like a forced exercise, yet it worked, and even facilitated a long-lasting mentorship and friendship. I’m dreaming of developing something like this here in Lebanon – thanks for the inspiration!! Well said, Pierre.Yes, it is an intricate dance and the attitude we adopt toward the whole process plays a key role in how effective it will be. I would love to see you get training that integrates spiritual and emotional health set up as part of your work in Lebanon. One of Peter Scazzero’s points is that isolating spiritual matters from our emotional state isn’t realistic and, frankly, isn’t working. You might get some helpful ideas from his book. Thanks for reading and commenting. I’ll check out Peter Scazzero! IDK if it’s ok to post a link here, but I’m planning to apply this at something we’re calling the Middle East Center – mecwm.org, specifically in the “Leadership Academy” and “Counseling and Family Care” departments. Keep writing – it’s great stuff!! I think if you look again there are 9. Thanks for keeping me on my toes!